Join Gary Carrion-Murayari, Curator, for a private collection visit at the home of Bernard Lumpkin and Carmine Boccuzzi. African-American artists predominate the collection, with a special emphasis on emerging voices of the last twenty-five years. 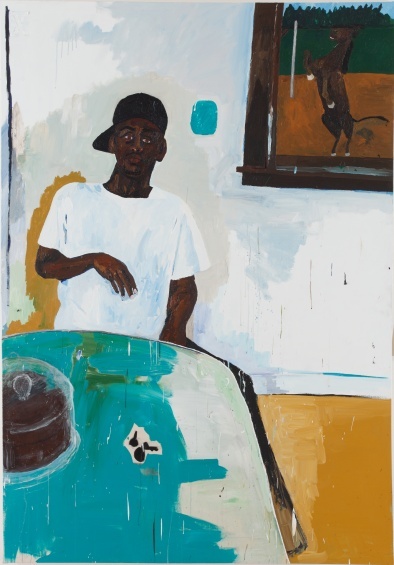 Represented in the collection are: Leonardo Drew, Leslie Hewitt, Norman Lewis, Glenn Ligon, Kerry James Marshall, Julie Mehretu, Adrian Piper, Henry Taylor, Lorna Simpson, and Kara Walker. The collectors’ commitment to these artists is part of a broader mission of advocacy and institutional support. RSVP by November 2 to Lindsay Casale at lcasale@newmuseum.org or 212.219.1222 ×270.